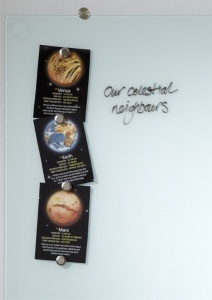 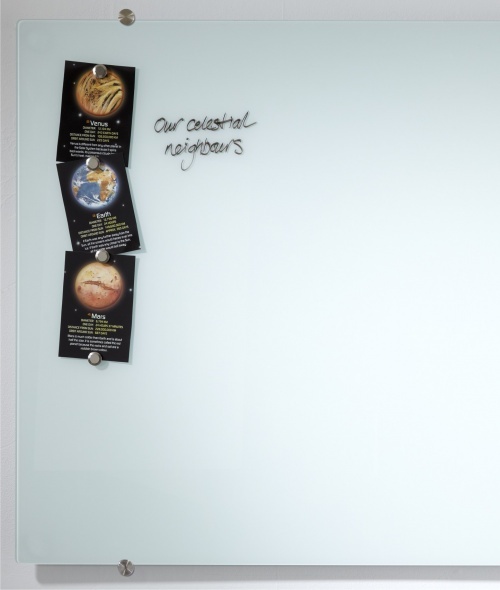 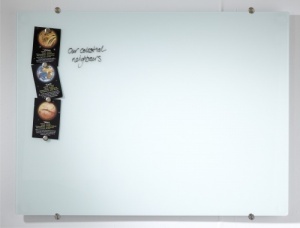 With its prestigious semi-transparent white finish the Clearview Magnetic Writing Board is a stylish contemporary wall mounted glass drywipe noticeboard. It offers a superior writing experience and is drywipe and magnetic as standard. 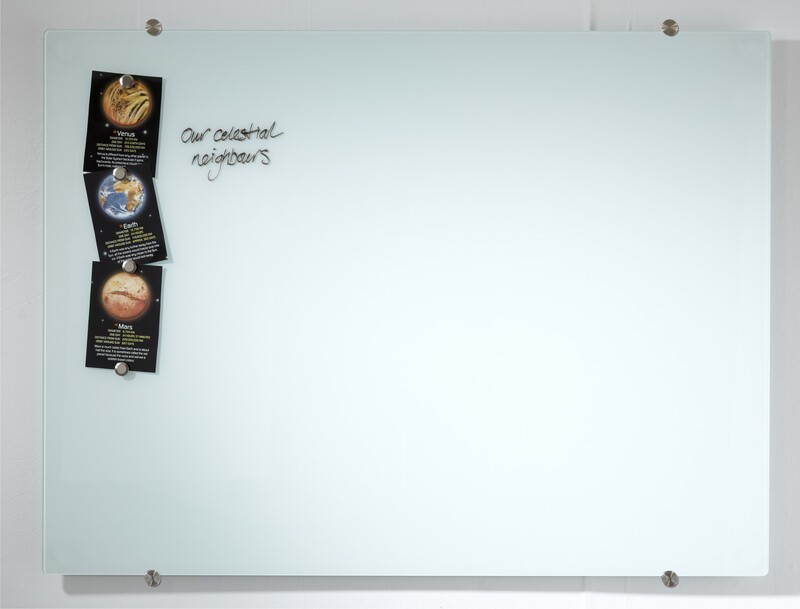 Available in 7 standard sizes the Clearview writing board is manufactured using toughened float glass which conforms to BS6206 and comes with contoured corners and stainless steel wall fixings.